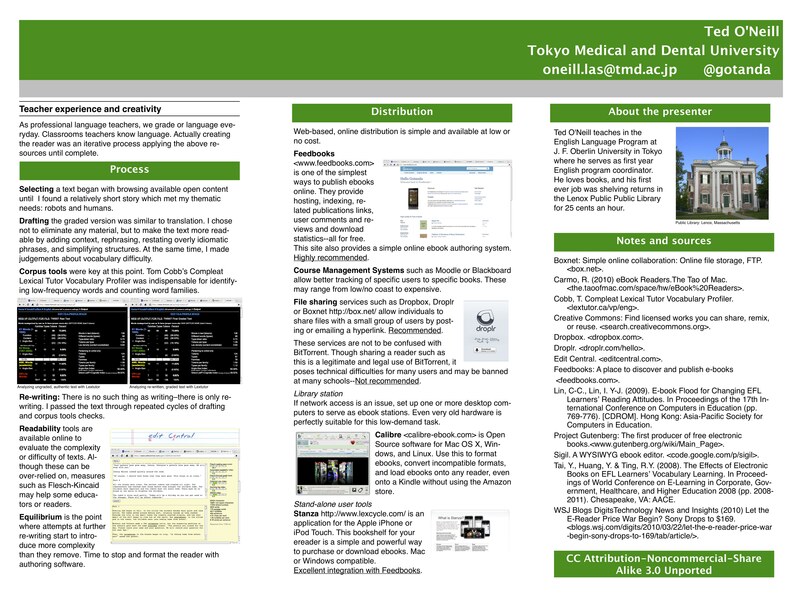 Presented at the 10th Pan-SIG Conference, Shinshu University, Matsumoto, Nagano, 22 May 2011. Abstract: The book has long been a powerful tool for language teachers and learners. As wonderful as books are, they do have limitations, including: physical infrastructure and distribution, relatively fixed content, durability, and cost. Ebooks have long addressed these issues, but their usefulness was limited by the cost of associated hardware, lack of support or even outright opposition from publishers, problems with digital rights management, and a lack of appeal to readers who want a “real book”. All of these are changing. 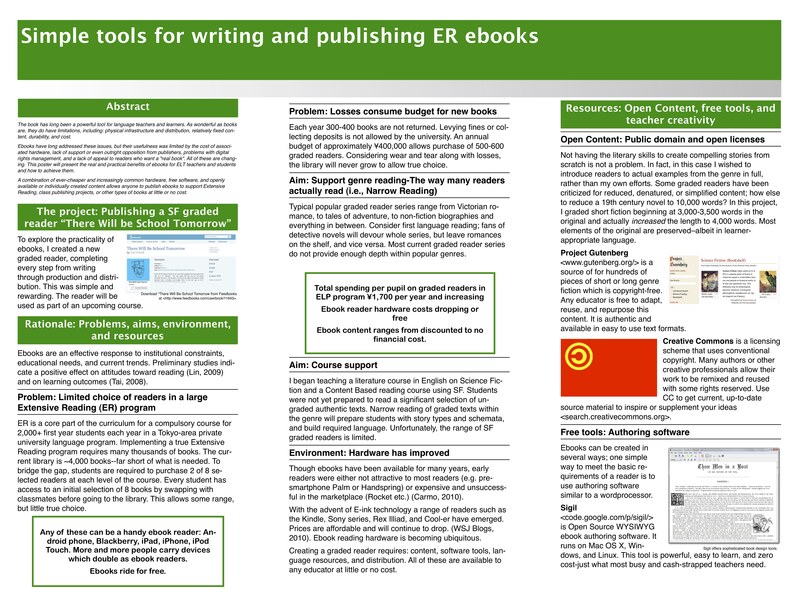 This poster will present the real and practical benefits of ebooks for ELT teachers and students and how to achieve them. A combination of ever-cheaper and increasingly common hardware, free software, and openly available or individually created content allows anyone to publish ebooks to support Extensive Reading, class publishing projects, or other types of books at little or no cost.